Panasonic has unveiled yet another pocket-friendly smartphone in its T-series of smartphones. The new device to enter the series is T33, which is dual-SIM phone with 3G connectivity. 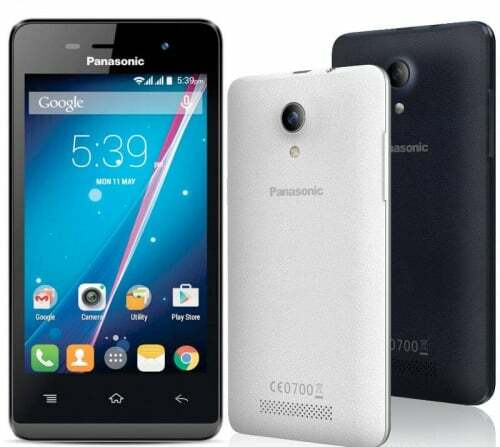 The Panasonic T33 features a 4-inch WVGA display with a resolution of 800 x 480 pixels and is powered by a 1.2 GHz quad-core SoC paired with 512MB of RAM. The device runs Android 4.4 KitKat and sports a 3-megapixel rear camera with LED flash along with a VGA front camera. It supports up to 21 Indian languages and comes studded with a leather-like back cover. In terms of connectivity, it supports 3G, Wi-Fi, Bluetooth 2.1, GPS, and is backed by a 1,500mAh battery. It will be available in Pearl White and Duke Blue colors, for a price of Rs. 4,490. The device comes bundled with freebies such as — screen protection guard and will be available all over the country from the third week of July. Given the specifications, the T33 will be rivaling devices such as iBall Andi Avonte 5 and Micromax Unite 3. Manish Sharma, Managing Director, Panasonic India said,“The T33 Smartphone has been developed and designed to overcome the fundamental problem of language barriers faced across India by giving them an option to choose from various languages to interact, engage, entertain and connect in their preferred language. We are sure that adding support for local language in the device will give an opportunity to our customers to communicate seamlessly,” he said.